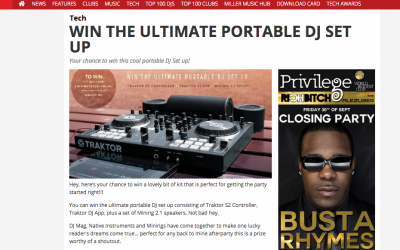 DJ Mag has launched the ‘Ultimate Portable DJ’competition where one winner will receive a Minirigs 2.1 portable speaker system, a Traktor S2 controller and the Traktor DJ app. 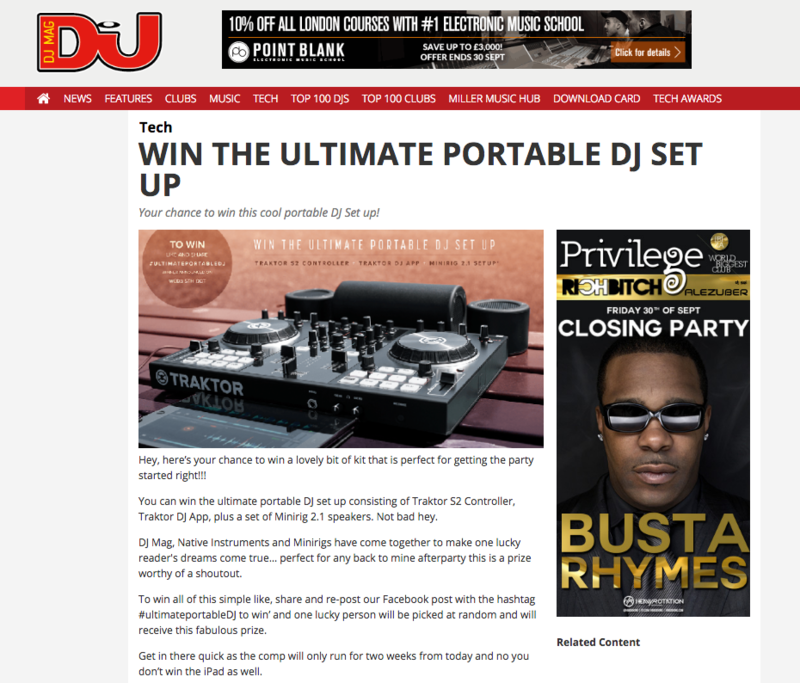 The competition has enjoyed well over 3000 shares on social media and is proving to be incredibly popular. The winner is announced in October.